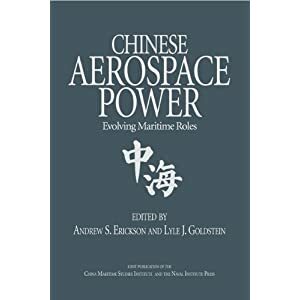 Captain Gordon A. Andrew, RAN, review of Andrew S. Erickson and Lyle J. Goldstein, eds., Chinese Aerospace Power: Evolving Maritime Roles (Annapolis, MD: Naval Institute Press, 2011); in Australian Defence Force Journal 186 (November/December 2011): 100-101. 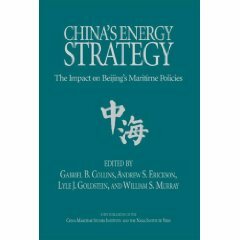 Chinese Aerospace Power is the fifth book in a series jointly published by the China Maritime Studies Institute (CMSI) and US Naval War College. Like the other titles in the series, many of the articles came originally from presentations at the CMSI’s annual conference. Like the others in the series, it is also rich in detail, comprehensive in approach, strong in analytical rigour and light on speculation. 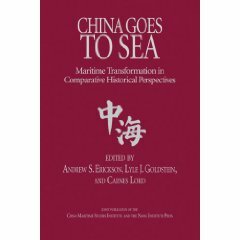 The book is a comprehensive look at changes in Chinese air power from a maritime perspective. Twenty seven chapters approach the subject from different directions. 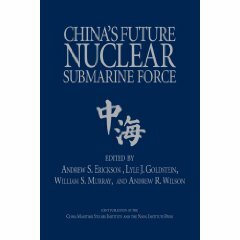 There are capability-based chapters, such as those on aerial refuelling and ASW; platform-based chapters, such as those on cruise missiles and unmanned aerial vehicles; and a number of chapters which attempt a doctrinal and strategic understanding of how and why China is developing its aerospace power. To match this diverse approach, the range of sources is impressive. Nearly always primary source—many translated from Chinese—and including more unusual techniques, such as the analysis of Chinese UAV exhibitions at trade shows, it allows for an authoritative discussion. This authority is, however, self-tempered by the inclusion of a chapter discussing ‘Challenges in Assessing China’s Aerospace Capabilities and Intentions’, which recognises that Chinese military capability remains a difficult area to gain reliable data. Such honest self-assessment is admirable. Books such as Chinese Aerospace Power provide the basis of that discovery and anyone who is interested in gaining a deeper understanding of the rise of China would benefit from reading it. Highlighted in GlobalSecurity.org’s Special Selections.